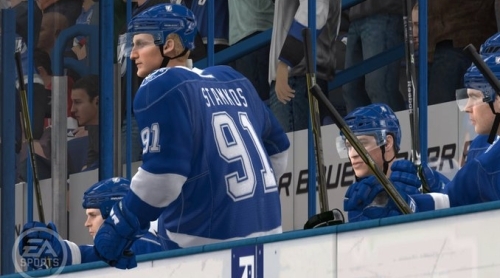 By most accounts Steven Stamkos was an excellent choice as the cover athlete for EA Sports’ NHL 12. The one thing many initially overlooked however was his looming status as a free agent. The Tampa Bay Lightning had until today to exclusively negotiate a contract with Stamkos and prevent him from hitting the market. An agreement was not completed and Stamkos is now a restricted free agent. A scenario where Stamkos ends up on another team still seems unlikely but it’s possible nonetheless. There are expected to be teams who make a run at him with contract offers that could make it difficult for Tampa to match. The idea would be to offer max money and structure the the contract to cripple them if they choose to do so. A rival team may cherish the chance to mess with them in that manner while taking a shot at obtaining one of the best young players in the game. If Stamkos signs an offer sheet and Tampa were to not match they would receive four future first round picks from that team. Generally companies will select players who are secure in their current situations as cover athletes. Doing so avoids the possibility of something like Brett Favre coming back and playing for a different team (Madden 09) or in this case Stamkos possibly joining a new one. Marketing materials are prepared months in advance and depending on timing would not be possible to change or doing so would come at a great cost.